EP is consulted, Council disposes. Adoption of the act (usually) requires a unanimous vote; see Chart 5/9. Art. 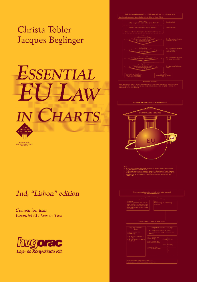 115 TFEU: general legal basis. Role of Commission and Council depends on the legal basis provision; EP must give its consent. Art. 352 TFEU: general legal basis. The procedure is the ordinary or a special legislative procedure only if the legal provision indicates this in explicit terms; e.g. not in the case of Art. 78(3) TFEU; Slovakia and Hungary v Council (2017). Only in the case of these procedures must certain obligations be complied with, relating, e.g. to the participation of national parliaments (see Chart 4/3) and public meetings of the Council.